Nap transitions can be yucky and annoying at the best of times- and the 1-0 nap transition is no different. In fact, getting rid of toddler naps completely can be a long, drawn out, not-so-fun process. A mother named Grace in the My Sleeping Baby Facebook Community group wanted to know: when do toddlers go from a napping once a day to not napping at all? GREAT question! When do toddlers give up naps? Most toddler naps are ready to disappear by 3-4 years of age. Though I’ve seen many toddlers eliminate their nap before age 3, and I’ve seen many preschoolers struggle to make through a day of kindergarten without their nap. So there’s definitely a big range as to when toddlers give them up! 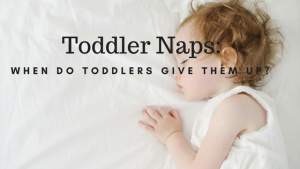 Now, toddler naps can take time to go away! It doesn’t mean that your toddler is necessarily going to be torturing you during this process. Rather, it might mean that he needs a nap on some days but not others. Or perhaps your 4 year-old doesn’t nap at school during the week but needs a nap on the weekends to catch up. These scenarios are FINE! Many parents want to know about the signs your toddler is ready to stop napping. 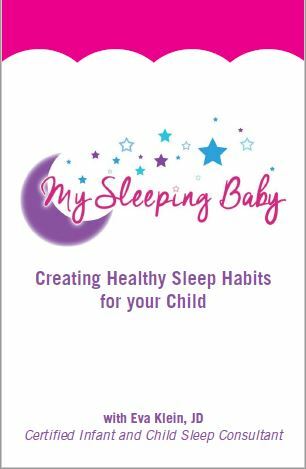 Take a look at your toddler’s sleep schedule and assess whether it works. As the famous saying goes, “If it ain’t broke, don’t fix it!” So if your 3.5 year-old is still napping for 90 minutes during the day, falls asleep nicely at bedtime, and sleeps through the night until morning, don’t change a darn THING! But if your little one has suddenly begun fighting bedtime, or if she suddenly started waking up much earlier in the morning, it might be time for that nap to go! Listen in and watch my video below for more details!